Raimond Martinov (written also Raimonds Martinovs) and Ulyana Lopatkina in Five Tangos. 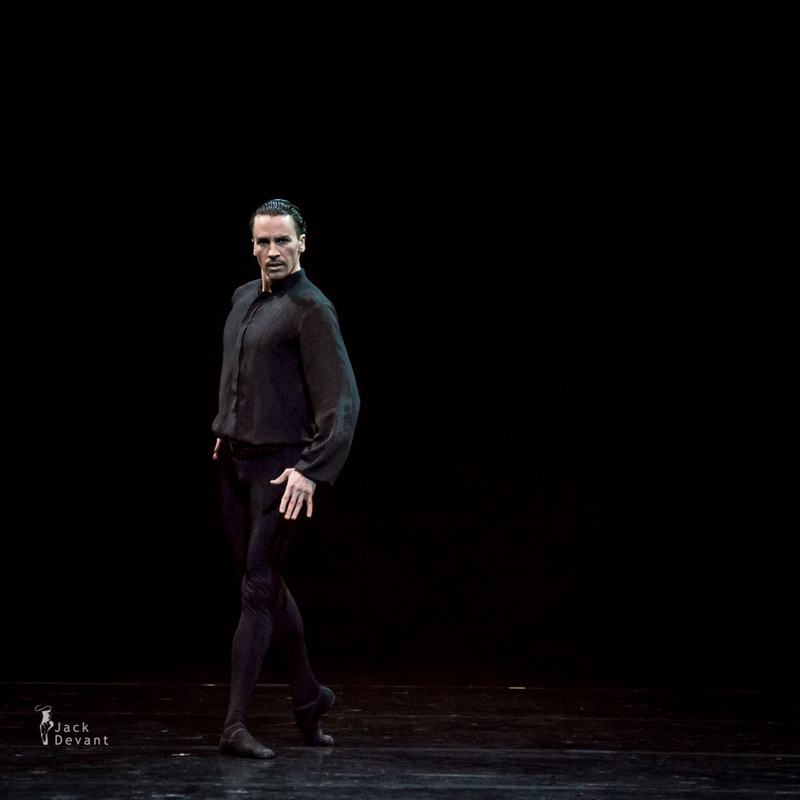 Raimond Martinov is Principal with Latvian National Ballet (Latvijas Nacionālais Balets). He is graduated from the Riga Choreography High School in 2000, class of Juris Kaprālis. Raimonds Martinovs is a member of the LNO Ballet since 2000. He has received an additional training at the Anaheim Ballet Summer Courses (USA) and International Bartolin Ballet Seminar in Denmark. In 2007, Raimonds Martinovs was awarded the Latvian Theatre Award as the Best Dancer of the Year in 2007 and the Latvijas Gāze Annual Opera Award as the Best ballet soloist (2011). Photo by Jack Devant ballet photography © with kind permission of the Ulyana Lopatkina, special thanks to Ilya Goor.